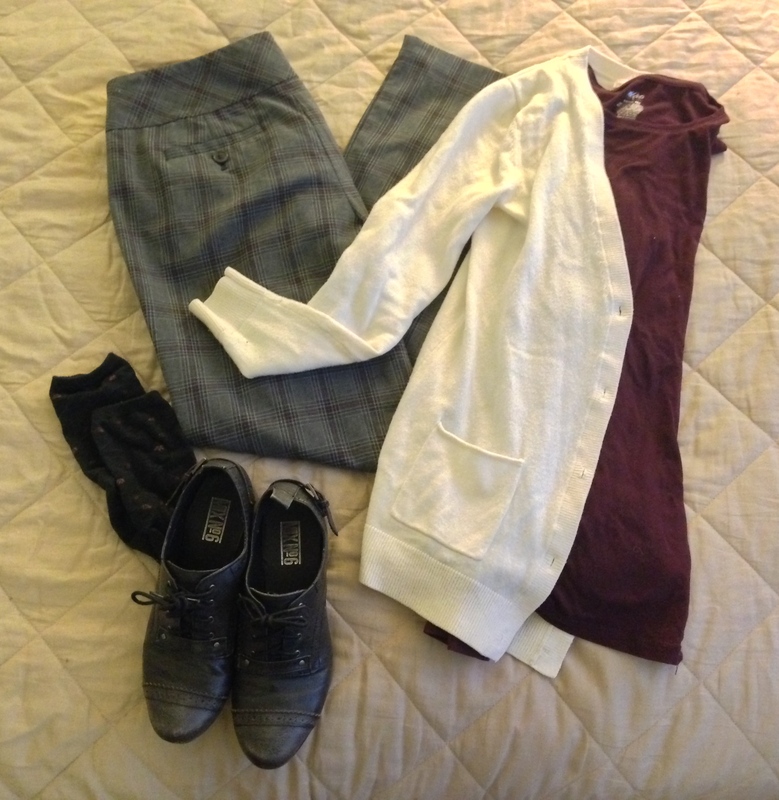 To celebrate my first day of school for this semester, I thought I’d turn my thoughts toward more frivolous fare: how I dress as a young female academic. The idea for this post came to me as I was reflecting upon my blog stats for the year – a significant number of my referral links in 2014 came from a website called “The Shelf”, which is a site geared toward marketing blogs about beauty and fashion. Given that I regularly write about medieval philosophers and metaphysics and pirates, I was a tad puzzled. While I think I’ve located the source of this connection to my posts on Rousseau’s Sartorial Ethics and my search for the perfect book-tote, my mind started to wander. Should I be posting instead about my favorite concealer? All joking aside, it dawned on me that there was actually a little room for a fashion post here. One important, yet mostly unspoken, challenge for young female academics is figuring out how to dress in a way that is simultaneously powerful, yet not too power-seeking, modest, yet not frumpy or wall-flowery, pleasant, yet not too cute, professional, yet not too dressy or corporate. You want to command authority without seeming like you’re trying to do so, and it can be difficult to achieve when you’re just starting out. 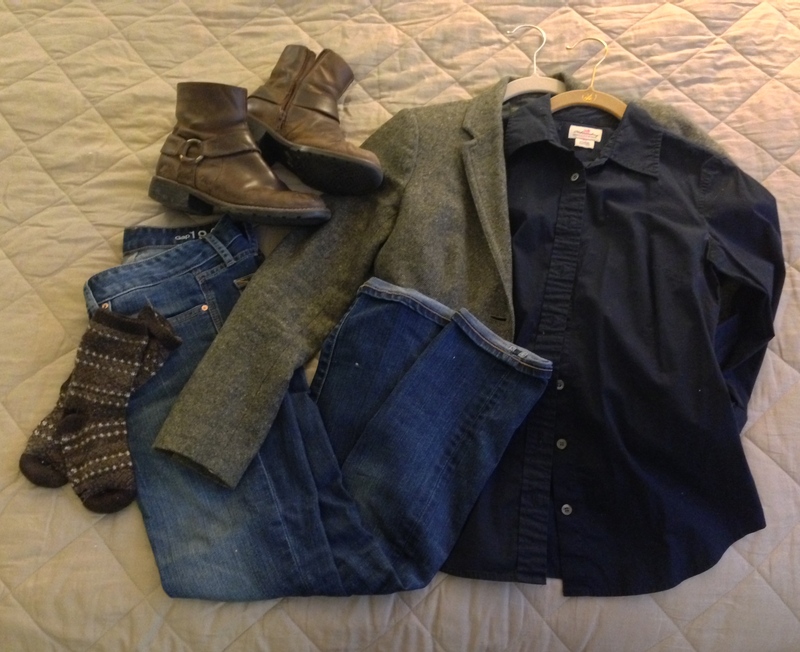 While young male academics likely face similar issues, there does seem to be more of an easily accessible uniform: pants, button down, blazer, loafers, all in neutral or simple colors and patterns. It’s easy enough to think that a young woman could copy that look (and believe me, I’ve tried), but it does take some investment – finding similar clothes that fit in a feminine way and simultaneously lack attention-seeking style embellishments is difficult on a grad student budget. The goal is to find a mode of dressing that calls no attention to itself, but unfortunately, nearly every fashion choice a woman makes in our culture is marked in some way. Women’s clothing is interpreted as a message far more often than men’s, just by the nature of how it it’s cut, its typical patterns and colors, and its favorite fabrics. Those style embellishments matter, whether you mean them too or not. While the primary truth is that it’s all about attitude – owning your space, feeling confident, being strong yet approachable – a secondary truth is that sometimes that attitude can be found by getting the trivial details out of the way. After a few years of trial and error, I’ve found a few go-to wardrobe patterns (uniforms, if you will) that seem to do the trick. I can get dressed quickly in the morning and never feel self-conscious throughout the day. This is my number one go-to outfit for teaching. I feel comfortable and I can easily find items that fit me well. I had to invest in a couple of blazers in order to avoid anything too fashiony or power-suity, but they were worth it. Tweed is always worth it. Sometimes I add a sweater into the mix on cold days, and then it’s like a three-piece suit. This combo is especially – and surprisingly – good for extremely cold days. Pants – especially women’s dress pants, I’ve found – are not warm unless they are also tight enough to keep air out, so the wool skirt + tights combo is really clutch on a wintery day. 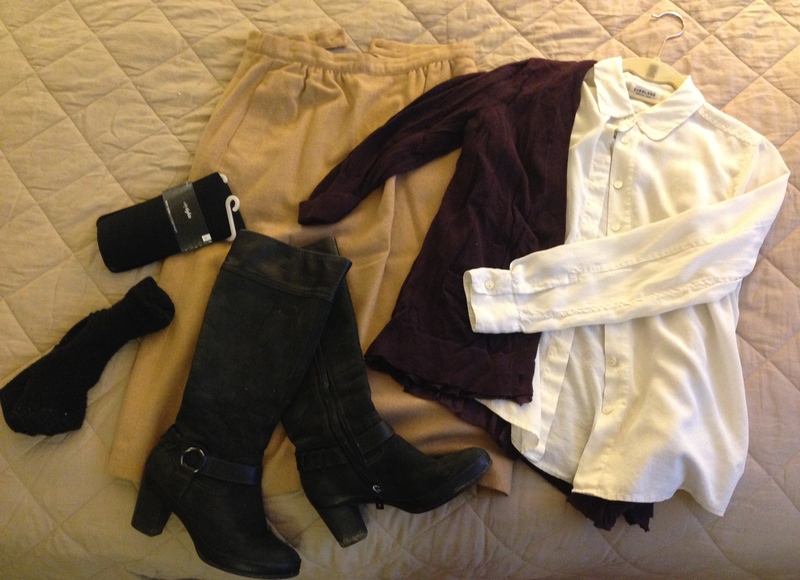 Add in a few pairs of socks and some knee high boots, and I’m a happy camper. Add in a nice chunky sweater, and I’m essentially wrapped in wool blankets for the day. This works when the weather is nice and I happen to find a pair of dress pants that are loose enough to be appropriate yet fitted enough that I don’t look sloppy. I always feel a little too fancy or corporate when I pair dress pants with a nice blouse, so a plain, high-quality tee-shirt or casual blouse can tone down the “power-suit” effect. I accessorize all of these looks with a coffee cup, ink stains on my fingers, and chalk all over my hands. It’s a look. And with that, I think my career as a fashion blogger is officially over. Unless you’re actually interested in my favorite concealer, that is; nothing erodes a confident, put-together facade like dark circles under your eyes, after all. I know what you mean about striking the right note. You don’t want to look too dressed up, but you don’t want to look too “cool” either. You want to command respect, but you don’t want to LOOK like you’re commanding respect. It’s a bit of a challenge, but I think you’ve got the right idea in mixing things up. T-shirt with dress pants, etc. And with classic styles, you can’t go wrong. The older I get, the more I hate shopping around. I used to love going to thrift stores, but I’m realizing that was more because it was an activity that I shared with my mom starting at an early age. Plus, there’s nothing like the feeling of getting a good bargain. But now I just bite the bullet and shop at White House Black Market because they keep everything really simple with a great deal of outfits that won’t go out of fashion. You might want to check it out sometime if you don’t already. If you have a store near you, the ladies will actually pick things out for you…I have come to the point where I distrust my own taste in clothes, so this is a good thing for me. Just watch the sizing…they do “vanity” sizing, which can be infuriating. However, the ladies at the store I shop at can look at me and know my size (there it’s about 4 sizes down from what you think you wear). So I just walk in, pick out something I like, and they go around finding things that match it while I sit in the dressing room. It’s pretty awesome. Also, little tip. I never wear tights because I find them uncomfortable, so instead I wear leggings. These look good, keep you warm (or warmer) and they feel like you’re wearing pajamas. They’re more comfortable than jeans even. I actually wear them almost every day, even when I’m just sitting around the house. Paired with a sweater or sweater/dress, you’ll look really pulled together without being uncomfortable. Yeah, I had to give in an invest a little – I got a few silk shirts from Everlane and a couple of blazers from Jcrew a few years back so I could have a few quality pieces for an everyday uniform. My skirts I got at a vintage warehouse (a massive, massive warehouse space with giant cardboard boxes with labels like “40s-60s Wool Skirts $7”), and it took a lot of rooting around (and some button replacing). For regular stores, I tend to be more of an Ann Taylor/Jcrew hybrid than WHBM – it’s a little too modern and geometric for my coloring, and the fit isn’t great (I’m petite, and though I’m not skinny, vanity sized out of a lot of items). But the point definitely comes through – sometimes you just need to let someone else help you pick things out! And great call on the leggings – I already wear them under jeans and dress pants in the winter when the temp dips below 10 degrees, and I could definitely wear them under my longer skirts when the hem meets my boot line! You’re right, “it’s a look.” And, if it’s your own, that’s just fine. A writing colleague once told me that fashion isn’t frivolous; it’s an extension of your personality. I’ve spent a lot of time honing my look too. I like to dress somewhat like an English professor, but I don’t want to have the “I’m smarter than everyone in this room” look. It’s a delicate balance. I think that “English Professor” is a fine look to cultivate – very distinguished! I don’t think that what we wear is frivolous. Indeed, you clearly give great thought to what impression you wish to create and how best to do it. Someone once told me that we don’t dress for ourselves, but for others. I agree with that statement, at least when it comes to dressing for work. If I could boil my appearance-mission down to just one, I’d say I’m aiming for respectable yet approachable, without calling attention to the clothes. I just don’t want my appearance to be distracting at all, either in sloppiness or attractiveness.